Select a country Afghanistan Albania Algeria Andorra Angola Antigua and Barbuda Argentina Armenia Australia Austria Azerbaijan Bahamas Bahrain Bangladesh Barbados Belarus Belgium Belize Benin Bhutan Bolivia Bosnia and Herzegovina Botswana Brazil Brunei Bulgaria Burkina Faso Burundi Cambodia Cameroon Canada Cape Verde Central African Republic Chad Chile China Colombia Comoros Congo (Brazzaville) Congo Costa Rica Cote d'Ivoire Croatia Cuba Cyprus Czech Republic Denmark Djibouti Dominica Dominican Republic East Timor (Timor Timur) Ecuador Egypt El Salvador Equatorial Guinea Eritrea Estonia Ethiopia Fiji Finland France Gabon Gambia, The Georgia Germany Ghana Greece Grenada Guatemala Guinea Guinea-Bissau Guyana Haiti Honduras Hungary Iceland India Indonesia Iran Iraq Ireland Israel Italy Jamaica Japan Jordan Kazakhstan Kenya Kiribati Korea, North Korea, South Kuwait Kyrgyzstan Laos Latvia Lebanon Lesotho Liberia Libya Liechtenstein Lithuania Luxembourg Macedonia Madagascar Malawi Malaysia Maldives Mali Malta Marshall Islands Mauritania Mauritius Mexico Micronesia Moldova Monaco Mongolia Morocco Mozambique Myanmar Namibia Nauru Nepa Netherlands New Zealand Nicaragua Niger Nigeria Norway Oman Pakistan Palau Panama Papua New Guinea Paraguay Peru Philippines Poland Portugal Qatar Romania Russia Rwanda Saint Kitts and Nevis Saint Lucia Saint Vincent Samoa San Marino Sao Tome and Principe Saudi Arabia Senegal Serbia and Montenegro Seychelles Sierra Leone Singapore Slovakia Slovenia Solomon Islands Somalia South Africa Spain Sri Lanka Sudan Suriname Swaziland Sweden Switzerland Syria Taiwan Tajikistan Tanzania Thailand Togo Tonga Trinidad and Tobago Tunisia Turkey Turkmenistan Tuvalu Uganda Ukraine United Arab Emirates United Kingdom United States Uruguay Uzbekistan Vanuatu Vatican City Venezuela Vietnam Yemen Zambia Zimbabwe Where are you writing from? 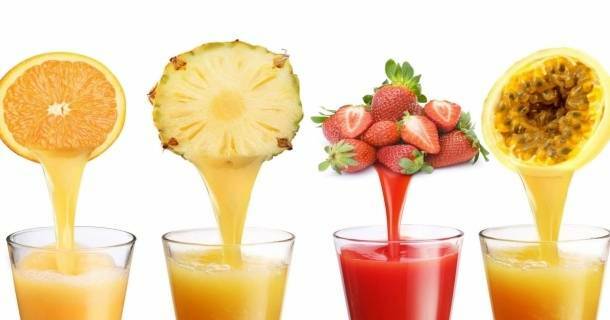 All drinks based on fruit pulp, besides being easy to prepare, are an ideal daily complement for a healthy and balanced diet. 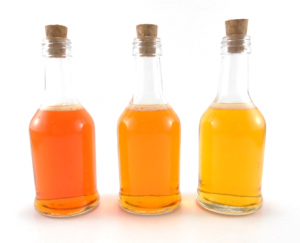 Fruit pulp allows us to prepare excellent sucos (typical Brazilian juices). Ideal for the preparation of natural juices, sweets, ice cream, desserts, smoothies, and more. Concentrates with fruit pulp contain artificial flavors and blend of natural colorants of preference. This is due to the fact that synthetic or artificial colorants are among the 10 foods that most harm health, since they cause allergic reactions, respiratory difficulties, stomach irritation, skin problems, hyperactivity, among others. In Brazil, cold food/drink can be consumed quietly throughout the year, even in cold seasons, such as winter. For this reason, several foods are consumed in frozen form, since, in addition to being practical and tasty, they retain their main nutrients, as in the case of fruit pulp, one of the delicacies most used in this way. For the production of the preparation of fruit pulp is essential the selection of reliable and quality food, after all, the use of the best ingredients of nature preserves what it has best and provides the consumer health and quality of life. You can find pulps of Passion Fruit, Strawberry, Açaí, Acerola, Pineapple, Guanabana, Guava, Peach, Mango, Papaya, Cupuaçu, Pitaya, etc… The use of natural colorants is essential to achieve that desired aspect, without harming health. The natural colorants that IMBAREX produces can be applied in several fruit pulp products. For strawberry pulp, Carmine can be applied in water-soluble or liquid form. In addition, Norbixin of annatto can be used to obtain the yellow-orange of passion fruit. This should be different concentrations depending on the shade you want to achieve. Annatto is fundamental because it is stable to acid. The Açaí is rich in iron, fibers and is an antioxidant and anti-inflammatory food that has many benefits for the immune system and heart health. 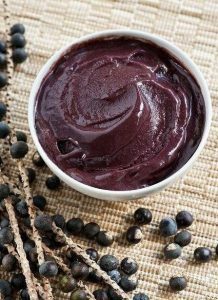 The pulp of açaí does not normally have dyes but when used for ice cream it does and may include carmine or water-soluble norbixin. For pineapple, annatto or curcumin can be used to achieve this yellow color. To achieve a mango color, curcumin can be used with annatto. For orange pulp, carminic acid or norbixin with carmine is applied. These are some of the applications of our natural fruit pulp dyes. In the preparation of juices, for example, frozen fruit pulp is a healthy choice for daily consumption and much more practical than fresh fruit. The pulp is a great alternative, because it is the closest thing to natural juice, because it maintains the characteristic aroma, flavor and color of each fruit. If you want to apply natural colorants to fruit pulps, contact our sales force here.